Yes, that’s right. 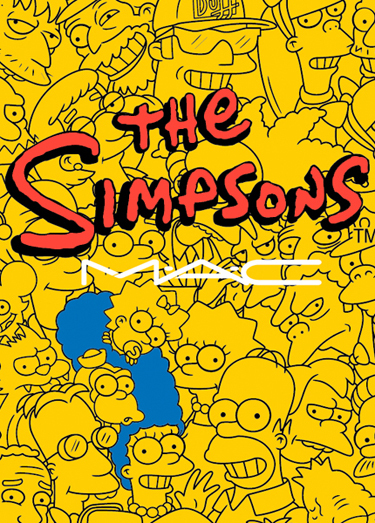 Marge Simpson, the famed blue-beehived, scratchy-voiced matriach of The Simpsons family has inspired her own makeup line, by none other than M.A.C. Although the cosmetics giant was somewhat mum when we asked them about the collab (they did slip us the teaser pic to the left), WWD suggests it’ll be out in September…um, we can’t wait to see that New York Fashion Week launch-slash-costume party! The limited-edition collection is pegged to the 25th anniversary of the brilliant cartoon, and we can only guess it’ll be hinged on Marge’s signature palette of cobalt blue (hair), mustard yellow (skin), lime green (dress), bright red (necklace), and white (those eyeballs). We’re obviously enthused. Any other takers?